Host a Trash Cancer Party! Host a Detox Your Home Party! 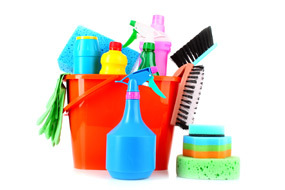 Detox Your Home and have fun doing it! Reduce your risk of cancer. Host a Detox Your Home party and teach your friends and family how to live a less toxic, healthier and preventative lifestyle. Did you know 90% of cancer is not only lifestyle related, but environmental! And it turns out the home is the most toxic place where we spend the most time! IN. What are you eating and what's eating you? We may not have control over a lot of things, but over what we bring into our homes we sure do! Friends the jig is up. Once you wake up and smell the coffee it's hard to go back to sleep! So join us in sounding the alarm by hosting a Detox Your Home party today! Hosting a party couldn't be easier. In just a few steps, you'll create an account, provide party details, and download your materials. Going to the market will never be the same as you begin to think differently about the food, personal care items and household products you are bringing into your home! Need help creating a party? Check out our FAQs.